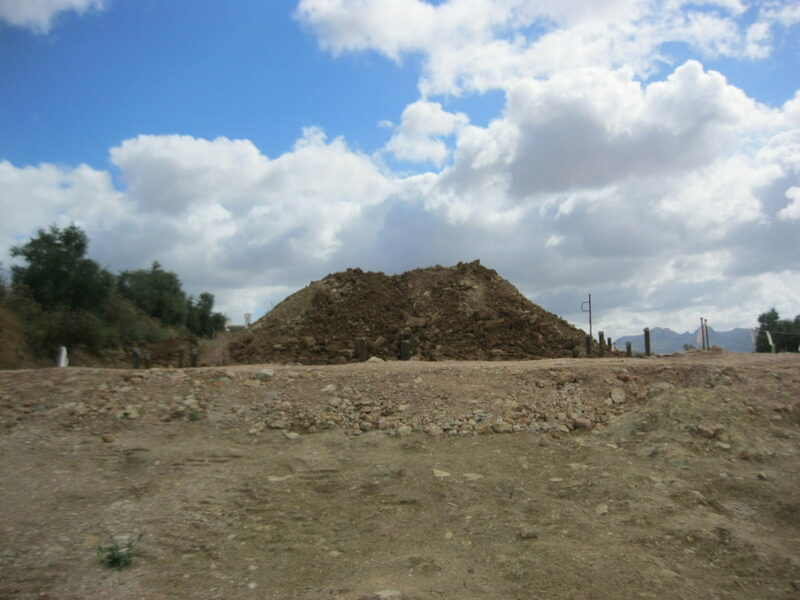 Implementation of environmental measures related to avoiding waste disposal and minimising natural resource consumption through recycling and reusing excavation materials or debris. 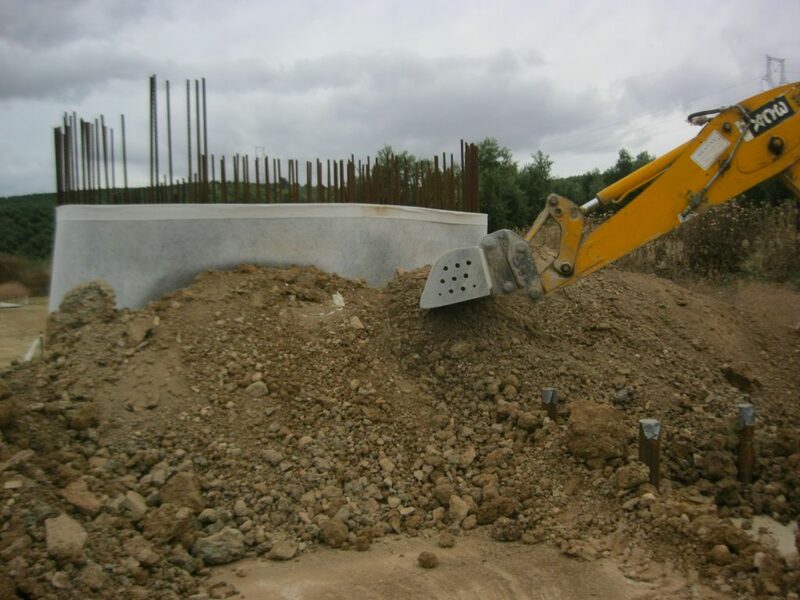 Recycling and reusing excavation materials: Reusing of material in other construction processes such as viaduct piles protection (photo 1,2,3), embankment filling, access roads filling and restoration, river course protection (photo 4). Recycling and reusing of debris: crushing of debris material from demolition to be reused such as selected soil for use in esplanade (photos 5, 6, 7, 8, 9 for demolition material stockpiles, crushing of demolition material, granular material stockpiles, dumping of granular material and laying and compacting of material on the esplanade processes), in fillings, etc. One of the Company’s objectives within climate change is to reduce and offset our emissions adopting the goal of achieving emission neutrality in our operations, by advancing in energy efficiency and offsetting any emissions. Other strategic objectives of the company within our SMP2020 are to advance in a program of circular economy. In order to reach this we have developed a specific “Waste management plan to advance in circular economy in Acciona”, from which required measures will be encouraged and implemented to follow a circular economy model. ACCIONA Construction, aligned with the Sustainability Master Plan of the Company, establishes goals and requirements for projects to reduce resource consumption, or to avoid waste disposal. 1,067,200 m³ of excavation materials. 17,000 m³ of topsoil (=the vegetative layer of soil). 1,000 m³ of concrete waste. 26,400 m³ of bituminous mixtures waste (bituminous mixture is asphalt which is mixed with different aggregates to create asphalt concrete). In the last 3 years, ACCIONA Construction has avoided more than 10,000 t of CO2 considering all implemented measures. There is a lack of regulation on by-products as it already exists for Steel waste (Council Regulation (EU) No 333/2011 of 31 March 2011 establishing criteria determining when certain types of scrap metal cease to be waste under Directive 2008/98/EC of the European Parliament and of the Council). This Regulation establishes criteria determining when iron, steel and aluminium scrap, including aluminium alloy scrap, cease to be waste. The concept of waste, within the meaning of Article 1 of Directive 75/442/EEC and Article 1 of Directive 78/319/EEC1, is currently excluding substances and objects which are capable of economic re-utilisation. The concept does not presume that the holder disposing of a substance or object intends to exclude all economic re-utilisation of the substance or object by others. National legislation which defines waste as excluding substances and objects which are capable of economic re-utilisation is not compatible with Council Directives 75/442 and 78/319. Acciona Construction implements these measures in all projects, whether own projects or join ventures.